No thanks, and good luck, Josh. Even at minimum salary, he's just too good not to carve out a big role. Then losing him out of nowhere really hurts your team. Credit where it's due, but a lot broke right for us this year. We could very well be better, but other teams will improve. For example, Mahomes might figure out you don't need to go for a 60 yard bomb every drop back. Point being, we can't expect to absorb his loss again and expect to win a SB. I do hope the Pats will provide as many resources as possible, and continue to keep in regular contact with him to help his life off the field. Even at minimum salary, he's just too good not to carve out a big role. He was on his way to a 1000 yard year even though he got traded to us 3 weeks into the season which would have been more than Cooks did in 16 games. He as an archetype is exactly what this offense needs to add this season to prevent the classic "crowd MOF" strategy to be viable. The entire logic of "he could be gone next week" is so flawed because that is true for any player week-to-week. It’s ironic that sobriety/recovery are so much easier than living in addiction hell. Never mind the self esteem issues that go with addiction. Every addict/alcoholic feels like a piece of scum at the end of our self destructive journey. That feeling takes time to go away and that’s a very good thing. Almost 30 years since my last drink/drug and I still remember clear as day how bad I felt about myself. I let everyone down especially myself. Yes, but it's doubly true for Josh. You have the normal injury risk any player faces, and then you pile on with his history of off the field troubles. The odds against us aren't good in his case. It's like the misguided soul who suggested we get Tyler Eifert. Would you say 'oh well, you can lose any player, any week' if he went down? To ignore a player's history, and patterns of injuries and/or personal issues - and to believe those guys are apples to apples w/other guys who are consistently on the field is flawed logic. Its a waste of money and it brings unnecessary negative attention to the league whenever a player gets popped for such an insignificant thing. That is the part that blows my mind the most, why do you want to pop people for weed and then have that blasted all over the news? The NFL is a business and does not want their players to play games high. The team showed he is a luxury In a way like a fully healthy Gronk. Gives Brady a huge target to hit and even if the pass is not a perfect pass and Gordon much like Gronk can still make the play. He developed great relationships with his teammates and coaches here. Bill and Josh truly like his talent and care about him. 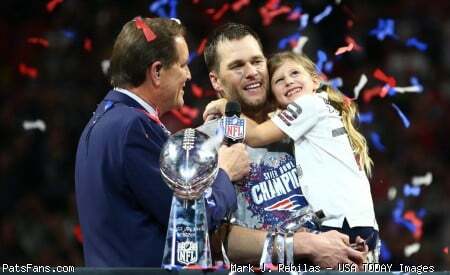 He will have every chance to come back to the Patriots if reinstated and we should welcome him with open arms. It's a great story which Kraft will like. It also shows the caring softer more human side of us that is good for attracting free agents after the negative crap that has come out about Bills treatment to players and the way he runs the team. If Josh is Committed he is a number 1 at the very worse number 2 receiver if he is over his demons. You don't let him walk after the relationships he built on this team. They all loved him and spoke glowingly of him. We didn't pay for his rehab becuase we are a charitable organization I believe they want Josh back. I love me some Josh Gordon. By all accounts he’s a good teammate and works hard at his craft. I mean who doesn’t love a redemption story. I hope he gets his life together and gets another opportunity (yes his 4th or 5th). There are much worse characters in the NFL. Dude smokes weed. He doesn’t abuse women. It cost little to tender Gordon. He can be cut just before the final cut if indicated. Can we not do this? The fact of the matter is that the weed agenda is completely irrelevant here. And no, marijuana is not harmless in a highly competitive environment. Like other intoxicants, it can affect and impair judgment, which in a high contact sport like football one can imagine easily leading to injury. Also unlike other intoxicants like alcohol and caffeine, THC stays in the system for a very long time, a single marijuana joint leaves THC in the system for up to a month because unlike alcohol or caffeine, THC is fat soluble and takes up residence in the body's tissues. I can easily understand why the league doesn't like players to be on the toke. People act like THC does nothing to the human body and that's a lie, if it didn't have an effect, people wouldn't take it for the effect it has. Frankly from what I've read about the effects it does have, I can very much understand a professional sports organization not wanting its players mixed up with that stuff -- even if the effects are not that severe for an average working schmoe, when you're trying to compete at the highest levels words like "lethargic" and "unmotivated" are not how you'd like your teammates to be described. Just because Gordon decided to waste brain cells instead of going to a SB doesn't mean we have to follow suit and bring him back. Fuggedaboutit, he's gone from here for good. Whether we want him back or not -- I tend to think "not," you're in a championship hunt every year, catching balls from Tom Brady, and that's not enough to keep your head in the game???? Sorry, derailed. Whether we want him back or not, that was the annual Pats handicapping by the league office. This time it's getting our no. 1 veteran pickup receiver off the field, for the season... since you can't get to veterans through stolen draft picks. The real game the last 17 years has been the League vs. the New England Patriots. Rather sporting of them not to break us up in a last gasp of "competition" Hari-kiri. - I tend to think "not," you're in a championship hunt every year, catching balls from Tom Brady, and that's not enough to keep your head in the game???? Going into the playoffs, are there ANY players that Gordon might have replaced on the active roster, and helped the team? During the season, did Gordon help us win any games; would be have been better off with a player from the Practice Squad? Is Gordon likely to be more valuable during 2019 than the #53 player?